Creative Nightscapes is a company specializing in landscape lighting installation and design. We install all types of low voltage lighting systems, from landscape lighting to security lighting. Our services are available to all clients throughout Grand Prairie and the rest of the DFW area. Our company was originally founded in 2004 in the garage of Patrick Cheatham, a graduate of the University of North Texas. In the 15 years since he started the company, Patrick has worked to provide every customer with a beautiful lighting design that meets all of his or her expectations. Creative Nightscapes has already completed over 4,300 lighting projects throughout DFW and the surrounding area. We offer one of the best warranties in the lighting industry, and we strive to make every interaction enjoyable for our customers. At Creative Nightscapes, we do not outsource our projects to subcontractors. Instead, every project is completed by our team of skilled designers and installation crews. We also maintain and service all of the systems we install. Creative Nightscapes has been named Landscape Lighting Contractor of the Year four of the past six years by Kichler. area of your home’s exterior is well-lit and safe. At Creative Nightscapes, we specialize in landscape lighting design and installation for customers throughout Grand Prairie. We help every customer to realize his or her vision for the exterior of the home with a customized design that meets every specification. We can incorporate any type of lighting into the design, including bullet lights, well lights, downlights, garden lights, and more. With the right patio lighting system, you will be able to enjoy this outdoor space even in the dark. Whether you want to light your entire patio or simply enhance parts of the space, Creative Nightscapes can develop and execute a lighting plan that works for you. Well-lit pool decks are not only safer for your family and your guests, but they are also more visually appealing. 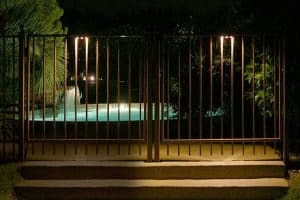 Let Creative Nightscapes help you design a customized pool lighting plan that adds value to the space. 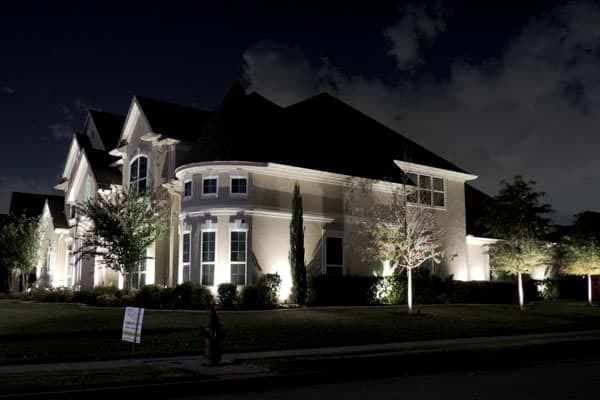 Creative Nightscapes provides comprehensive garden lighting services for customers in Grand Prairie. Whether you want to install a few lights to highlight your garden’s best features or light the entire area, our team of specialists can help you design a plan that meets every specification you present. Creative Nightscapes serves Grand Prairie and the surrounding area, including Arlington, Irving, and Euless. To learn more about the lighting services we provide, please contact us today. My experience is going to sound very similar to the many other raving reviews you see here. George is very experienced, punctual, kind, and just an amazing person. He communicated well, was patient, and worked with our budget to give us an awesome final product! We contacted other places and got no-shows, and no responses. Go with Creative Nightscapes and save your time and energy. Thanks for everything, George!!! Installed 19 fixtures in backyard pool area. Tree up lighting and pathway lighting. Installing lighting system for client in Grand Prairie. Pool up lighting and pathway lighting. Installed Kichler LED outdoor lighting at home in Country Club. Placed up lights to accent facade of home, peaks, front entry, and Holly tree. Mounted down lights in trees to create moonlight effect and illuminate driveway entrance, yard, and walkway. Installed Kichler LED landscape lighting at home in Westchester West Garden Homes. Placed up lights to accent facade of home, columns, peaks, entry way, and tree canopy. Mounted down lights under eaves to illuminate the walkway. Removed existing fixtures and installed Kichler LED outdoor lighting at home in Cove at Grand Peninsula. Placed up lights in front and back yard to accent facade, columns, tree canopies, Banana trees, and Palm trees. Mounted down lights under covered patio eave to illuminate patio area. Added wash lights in landscape bed to accent Sego Palms and river rock.